This comfortable wash-and-wear shirt is indispensable for the workday. Wrinkle resistance makes this shirt a cut above the competition so you and your staff can be, too. 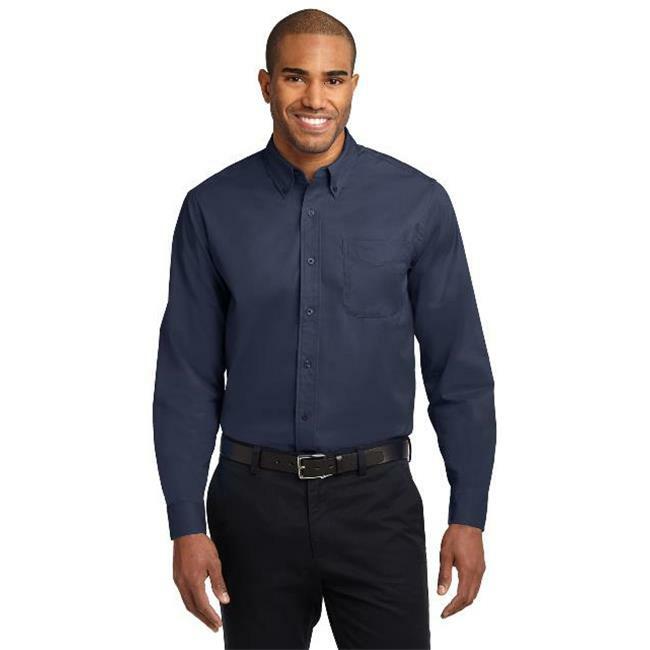 | 4.5-ounce, 55/45 cotton/poly Button-down collar Dyed-to-match buttons Left chest pocket Box back pleat Adjustable cuffs Classic Navy and Light Stone have contrast inside neckband only. Note: Model shown reflects sizes XS-6XL.